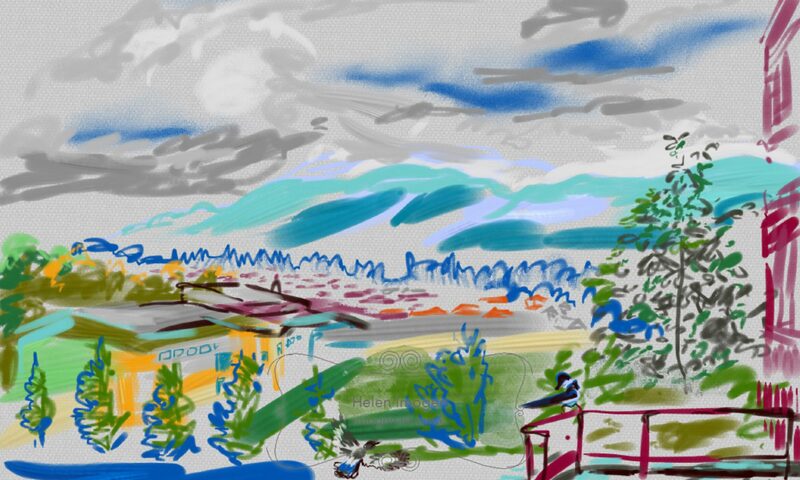 LiveSketch = iPad drawing where I am, standing in front of it At events, this results in an atmospheric image. I have drawn festivals and landscapes, portraits and flowers. Places include Dundee, north Scotland and Edinburgh, various cities in Europe, places in Israel, India, the Maldives and some USA. Today I’m providing iPad lessons as wanted (small group) drawing live in Edinburgh. Take a look at my iPad page. I’m also producing real portraits, daring to put more than one person into a picture. Commissions have been taken and are welcome (limited to 6 per year). Also, please sign up to my emailing list. As I’m working at the moment, these emails will be infrequent. But I’ll keep you posted with new artwork, novel additions to the website and any exhibitions or events that might interest you.